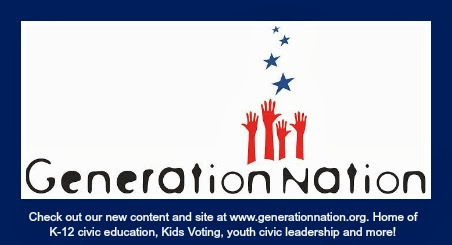 GenNation Learning Center: Doing Democracy: How YOUth Can Make a Difference! Power Trip - Exploring Your Potential for Local Impact Every day, local government touches the lives of young North Carolinians, yet many youth are unaware or uninvolved in the important decisions being made that affect them. In this session, explore the various ways you can be an active participant in your local government. From attending the meetings of your city council, to writing a letter to your school board, there are many ways for you to exercise your power as a community member. North Carolina Dreamin': Transforming Vision to RealityThink you are too young to make a difference? Convinced you need a ton of money or resources to change your community for the better? Learn about all the ways you can make a positive impact in your community and beyond with simply your creativity and active participation. Hear from North Carolina youth who have made a difference across our state and brainstorm all the ways you can do the same! Raise Your Voice! Tips for Effective Public Speaking When trying to bring about change in your community, it’s important to convey your message in a clear, concise, and persuasive manner. Learn various tips for ensuring successful communication and presentations. From overcoming nervousness to enhancing body language and eye contact, you’ll leave this session having improved your public speaking skills. Special Advisor Session: We've Formed a Youth Council! But Now What? Your heart is in the right place. You care about youth voice, so you’ve started a youth council or youth group. But how will you actually operate? In this session, hear suggestions for organizing your youth into a cohesive, purposeful, and action-oriented group. This session will also introduce participants to grant proposal writing, including the various types of grant funding, where to find funding opportunities, and the primary components of grant proposals. The Youth Summit will be on Saturday, October 23, 2010 at Benton Convention Center, Winston Salem. Presenters include NC Civic Education Consortium and Kids Voting Mecklenburg staff and student leaders. For more information, click here. For registration details, see page 21 of the NCLM Conference brochure, available on their website at http://www.nclm.org/ or by clicking here.